Stripe Now Available in all Versions! Increase your conversions on WP EasyCart FREE Version. 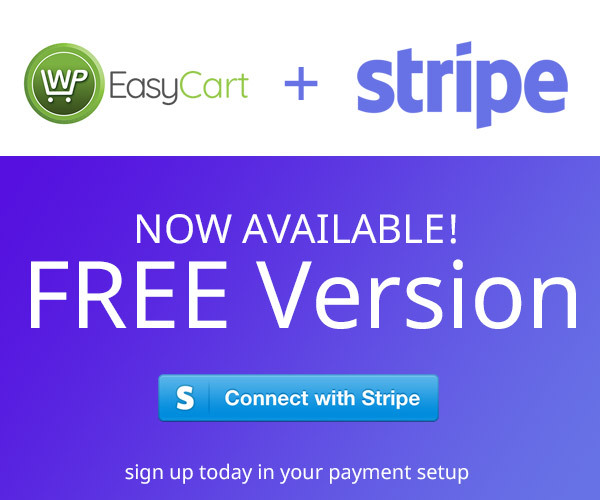 Navigate to WP EasyCart => Settings => Payment and activate it today! Note: Free users will be charged a 2% application fee, licensed users are charged no fees! This gives you a super low cost of entry when starting up your business and helps us continue to make WP EasyCart great! Read more on our docs page here.